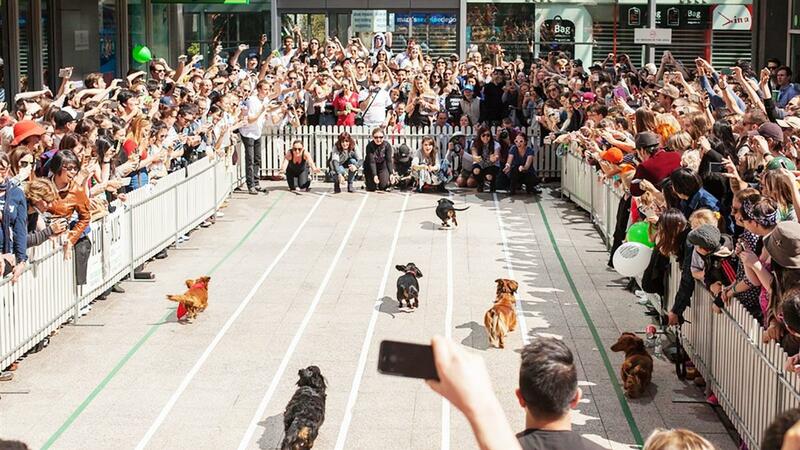 Don't miss the dog race that stops the nation as the Hophaus Dachshund Race returns to Melbourne on Saturday 23 September for the third year running. The ‘Hophaus Annual Dachshund Race’ will be part of Oktoberfest celebrations, proudly brought to you by Hophaus Bavarian Bier Bar Grill along with Southgate and My Dachshund Online. Event organiser Scott Highfield said that Dachshunds are "born to run… they're just like Greyhounds, but smaller". 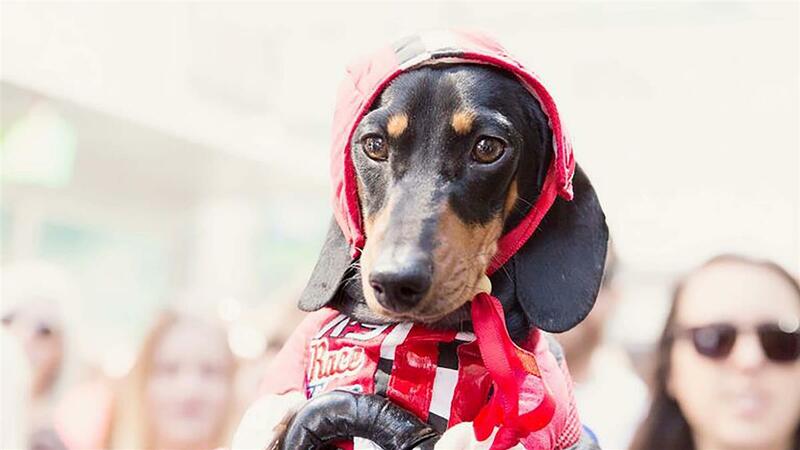 Daschunds of all shapes, sizes and variants will again compete in the Running of the Wieners Race during this year's Oktoberfest celebration. There are events for mini, standard, old and disabled Dachshunds, as well as a 'Best Dressed' competition. If you're looking for inspiration, last year owners dressed their Dachshunds in cute little costumes ranging from a surf lifesaver and Pokemon trainer to super heroes like Wonder Woman and the Flash! The races will be held at the Southgate Podium Level where heats start at 11:00am, finals and then a costume parade competition. An amazing day of fun to watch the gorgeous dachshunds running down a 15 meters long track. There will be a big screen, MC, music, coffee and hot dog stand, prize, raffles and 100 odd cute Dachshunds running around showing off, in and out of costume. All the proceed raised from the raffle and race entry fees to Dachshund Rescue Australia with over A$6,200 raised over the last 2 years! Please note that the race heats and costume parade places are full for this year but there's no fee to come and watch! 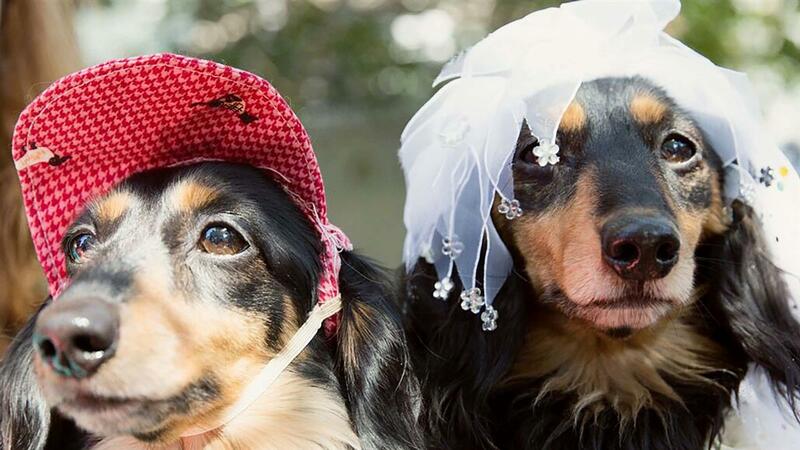 The organisers do not recommend any other breed of dogs attending other than Dachshunds.